The Beatles Retro Rainbow t-shirt is a classic choice for all fans of The Beatles. Keep Beatlemania alive with this officially licensed printed tee that is made from 100% cotton and has short sleeves and a round neck. for submitting product information about The Beatles Retro Rainbow T-Shirt We aim to answer all questions within 2-3 days. 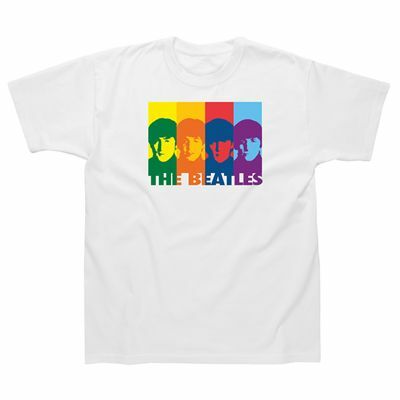 for submitting product information about The Beatles Retro Rainbow T-Shirt. We aim to answer all questions within 2-3 days. If you provided your name and email address, we will email you as soon as the answer is published. for submitting product review about The Beatles Retro Rainbow T-Shirt.